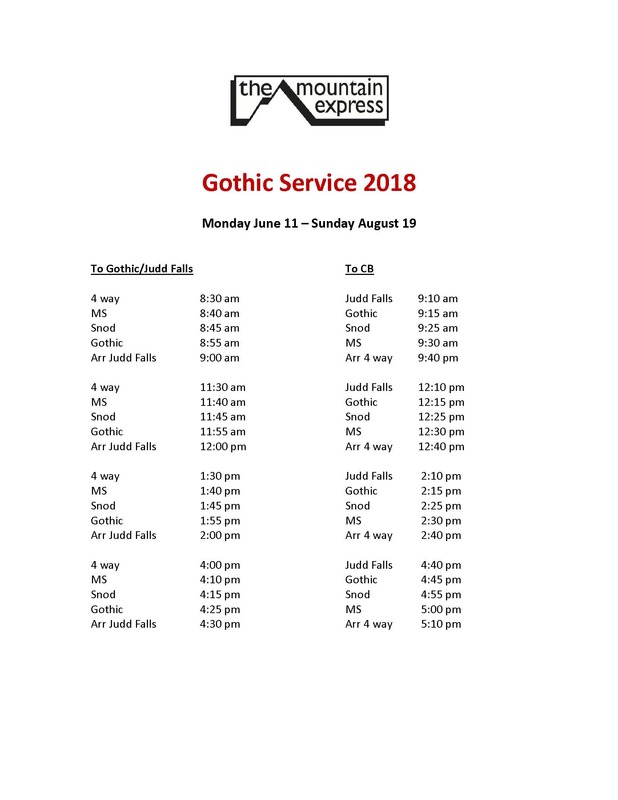 The 2018 summer Mountain Express bus schedule between Crested Butte, Gothic and Judd Falls Parking Lot between June 11 and August 19, 2018 is below. 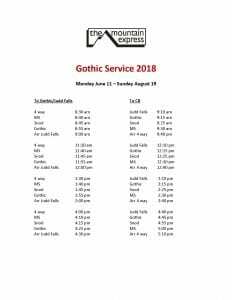 The schedule can be found at Mountain Express and here. Please note that Mountain Express has added a new bus stop at the Judd Falls Parking Lot. The 2018 summer RTA bus schedule between Mt. Crested Butte and Gunnison can be found at RTA Gunnison and a PDF is available here.